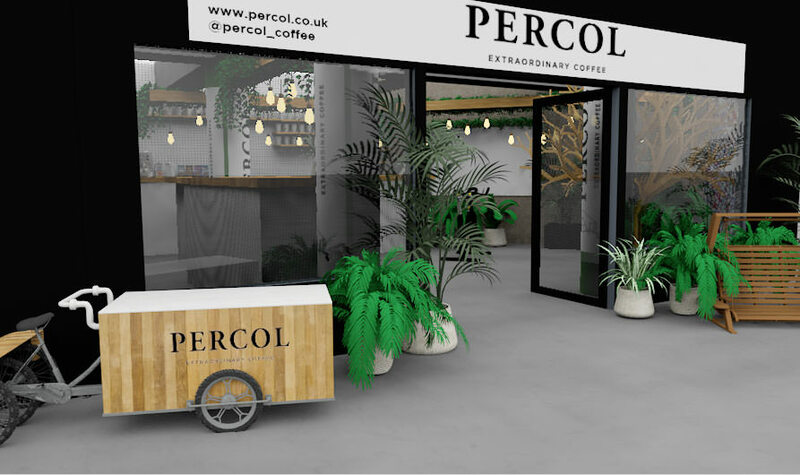 Percol Coffee are bringing the world’s most sustainable coffee shop to Old Street Station in London from the 18th – 20th April to tie in with UK Coffee Week (16th – 22nd April.) The pop-up shop will provide an immersive experience for customers and hopes to encourage customers to make small changes to their daily coffee routine to become more sustainable. The pop-up will demonstrate its world’s most sustainable coffee shop title in various ways. Most importantly, all coffee will be ethically sourced and served in reusable cups. There are 2.5 billion single-use coffee cups thrown away every year in the UK alone and Percol has pledged to make a difference. The site will be entirely single-use-plastic-free. Milk will be sourced in recyclable pouches and bottles and dairy alternatives supplied in recyclable packaging and there will be no disposable straws, stirrers or cups. Percol will be limiting the amount of paper on site and operating a cashless operating system with receipts emailed to customers. Cloths will be washable and no blue paper roll will be used. Any paper that is used will be recycled responsibly. This fantastic initiative is a great way of raising awareness around sustainability as well as highlighting ways that we can all be more environmentally concious in our coffee drinking habits.